Hostilities of Kamehameha’s conquest on Hawai‘i Island supposedly ended with the death of Keōua at Kawaihae Harbor in early-1792 and the placement of the vanquished chief’s body at Puʻukoholā Heiau at Kawaihae. The island was under the rule of Kamehameha. 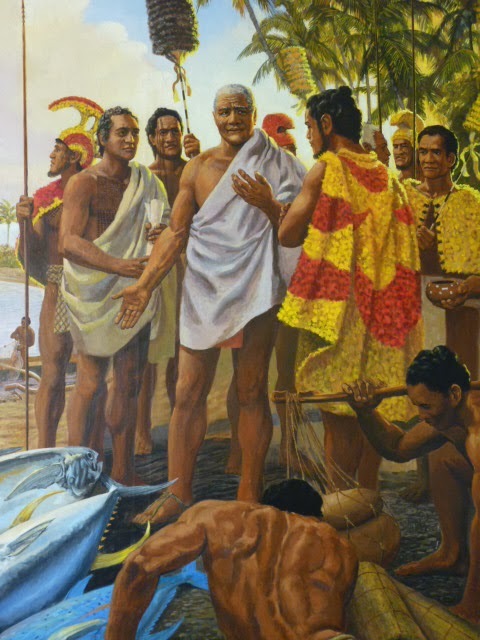 However, after a short time, another chief entered into a power dispute with Kamehameha; his name was Nāmakehā. In 1795, Kamehameha asked Nāmakehā, who lived in Kaʻū, Hawai‘i, for help in fighting Kalanikūpule and his Maui forces on O‘ahu, but Nāmakehā ignored the invitation. Instead, he opted to rebel against Kamehameha by tending to his enemies in Kaʻū, Puna and Hilo on Hawai‘i Island. Hostilities erupted between the two. The battle took place at Hilo. Kamehameha defeated Nāmakehā; his warriors next turned their rage upon the villages and families of the vanquished. The alarm was given of their approach. A family, who had supported Nāmakehā, the father (Ke‘au) taking his wife (Kamohoʻula) and two children fled to the mountains. There he concealed himself for several days with his family in a cave. (Brumaghim) The warriors found the family and killed the adults. A survivor, a son, ʻŌpūkahaʻia, was at the age of ten or twelve; both his parents were slain before his eyes. The only surviving member of the family, besides himself, was an infant brother he hoped to save from the fate of his parents, and carried him on his back and fled from the enemy. But he was pursued, and his little brother, while on his back, was killed by a spear from the enemy. Taken prisoner, because he was not young enough to give them trouble, nor old enough to excite their fears, ʻŌpūkahaʻia was not killed. He was later turned over to his uncle, Pahua, who took him into his own family and treated him as his child. Pahua was a kahuna at Hikiʻau Heiau in Kealakekua Bay. John Papa ʻI‘i wrote that in ca. 1812-1813, shortly after Kamehameha’s return to Hawai‘i, the king celebrated the Makahiki and in the course of doing so he rededicated Hikiʻau, “the most important heiau in the district of Kona”. This is the same place where Captain Cook landed on the Island of Hawaiʻi, across the bay from Hikiʻau Heiau is where Cook was later killed. ʻŌpūkahaʻia’s uncle, wanting his nephew to follow him as a kahuna, taught ʻŌpūkahaʻia long prayers and trained him to the task of repeating them daily in the temple of the idol. This ceremony he sometimes commenced before sunrise in the morning, and at other times was employed in it during the whole or the greater part of the night. ʻŌpūkahaʻia was not destined to be a kahuna. He made a life-changing decision – not only which affected his life, but had a profound effect on the future of the Hawaiian Islands. In 1809, they landed at New York and remained there until the Captain sold out all the Chinese goods. Then, they made their way to New England. 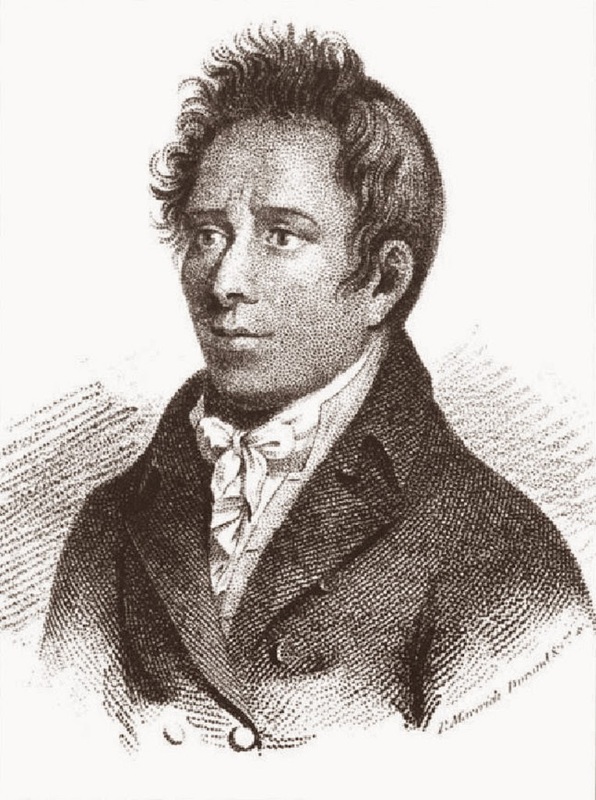 ʻŌpūkahaʻia’s life in New England was greatly influenced by many young men with proven sincerity and religious fervor that were active in the Second Great Awakening and the establishment of the missionary movement. These men had a major impact on ʻŌpūkahaʻia’s enlightenment in Christianity and his vision to return to Hawaiʻi as a Christian missionary. He was taken into the family of the Rev. Dr. Dwight, President of Yale College, for a season; where he was treated with kindness, and taught the first principles of Christianity. At length, Mr. Samuel J. Mills, took him under his particular patronage, and sent him to live with his father, the Rev. Mr. Mills of Torringford. The image shows ʻŌpūkahaʻia. In addition, I have added some other images in a folder of like name in the Photos section on my Facebook and Google+ pages. Kamehameha I began a war of conquest, winning his first major skirmish in the battle of Mokuʻōhai (a fight between Kamehameha and Kiwalaʻo in July, 1782 at Keʻei, south of Kealakekua Bay on the Island of Hawaiʻi.) Kiwalaʻo was killed. By 1795, having fought his last major battle at Nuʻuanu on O‘ahu with his superior use of modern weapons and western advisors, he subdued all other chiefdoms (with the exception of Kaua‘i). Then, Kamehameha launched his first invasion attempt on Kaua‘i in April of 1796. About one-fourth of the way across the ocean channel between O‘ahu and Kaua‘i a storm thwarted Kamehameha’s warriors when many of their canoes were swamped in the rough seas and stormy winds, and then were forced to turn back. With Hawaiʻi Island under Kamehameha’s control, conflict, there, supposedly ended with the death of Keōua at Kawaihae Harbor in early-1792 and the placement of the vanquished chief’s body in the Heiau ‘o Puʻukoholā at Kawaihae. Previously, Kamehameha asked Nāmakehā (who lived in Kaʻū, Hawai‘i) for help in fighting Kalanikūpule and his Maui forces on O‘ahu, but Nāmakehā ignored the request. Instead, Nāmakehā prepared a rebellion against Kamehameha to take place on Hawai‘i Island. Hostilities erupted between the two that lasted from September 1796 to January 1797. Kamehameha, on Oʻahu at the time, returned to his home island of Hawaiʻi with the bulk of his army to suppress the rebellion. The battle took place at Kaipalaoa, Hilo. Although Kamehameha’s warriors had won the battle over Nāmakehā, they then turned their rage upon the villages and families of the vanquished. It so happens that this included the family of ʻŌpūkahaʻia, who had had supported Nāmakehā. They fled to the mountains and hid for several days in a cave. A story suggests that Kamehameha I was fighting on the Island of Hawaiʻi. Chasing a couple fishermen (presumably with the intention to kill them), his leg was caught in the reef and, in defense, one of the fisherman hit him on the head with a paddle, which broke into pieces. Kamehameha was able to escape (because the fisherman fled, rather than finishing him off.) The story continues that Kamehameha learned from this experience and saw that it was wrong to misuse power by attacking innocent people. Later, Kamehameha summoned the two fishermen. When they came, he pardoned them and admitted his mistake by proclaiming a new law, Kānāwai Māmalahoe – Law of the Splintered Paddle. Kamehameha’s Law of the Splintered Paddle of 1797 is enshrined in the State constitution, Article 9, Section 10: “Let every elderly person, woman and child lie by the roadside in safety”. It has become a model for modern human rights law regarding the treatment of civilians and other non-combatants. Kānāwai Māmalahoe appears as a symbol of crossed paddles in the center of the badge of the Honolulu Police Department. A plaque, facing mauka on the Kamehameha Statue outside Ali‘iōlani Hale in Honolulu, notes the Law of the Splintered Paddle. The image shows Kamehameha, as depicted by Herb Kane. In addition, I have included other images in a folder of like name in the Photos section on my Facebook and Google+ pages.